Brunch is at it’s best with my friends in the North Carolina mountains. After a 5 mile hike on a Sunday morning (with red wine seeping from our pores), nothing is better than a morning sun and a homemade meal. 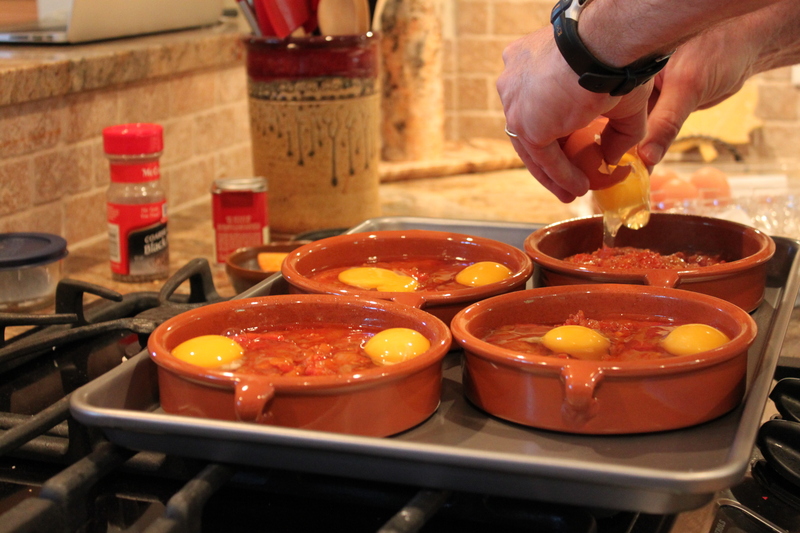 My friend Phil took the lead on this year’s Sunday brunch – preparing Eggs Flamenco from Anne Burrell’s show. Jamey and Phil are big fans of Anne and we often test her recipes together. We haven’t had a bad one yet. This couldn’t be much easier – EXCEPT, skip the food mill and just crush the tomatoes by hand or in the food processor. It will save you a lot of trouble and many many dishes. Sounds very yummy! What is pimenton? It does sound delicious but like Mary, am not sure what pimeton is. 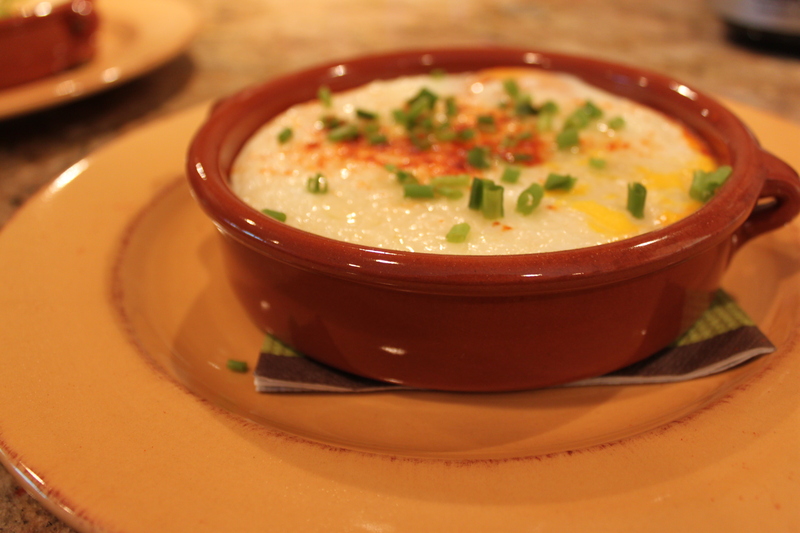 I see a weekend brunch for hubby in the near future!